I am so very totally excited about Ed from Pearl Jam's* first solo album. 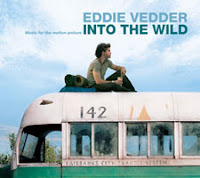 It actually doubles as the original motion picture soundtrack for a film called Into the Wild. *As if I had to write "Ed from Pearl Jam" when it comes to Eddie Vedder.